The East Friesian and East Friesian/Border Leicester programs have been sold to the Galpin family of Warrawindi Farms, Penola. This was a very hard decision for us, however, with the recent purchase of two neighbouring properties, 'Ardoch' and 'Killie Krankie' we wanted to concentrate on our commercial enterprises. 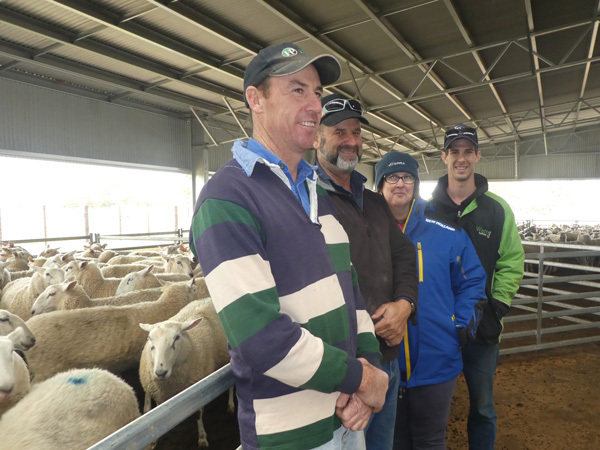 We currently hold the record price for prime lamb sales at Mt. Gambier and Hamilton sale yards. We will continue with the Poll Dorset Stud. Bruk Bruk East Friesian Stud was established in 2012 when Rick Foster and Brodhi Carracher purchased the majority of the Prospect East Friesian stud sheep from Nereda Brand. The purchase comprised of one pure East Friesian stud ram lamb and 80 pure East Friesian and Border Leicester / East Friesian cross ewes and ewe lambs. Rick has had an interest in the East Friesian breed for over a decade and has been using them alongside his existing Poll Dorset and Corriedale studs to enhance the fertility and milking ability of the commercial ewe flock significantly. 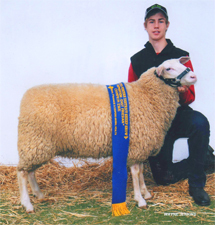 Brodhi is just a newcomer to the stud sheep circuit as a 18 year old who was initiallly drawn to the breed for their clean points and extreme fertility. This enhanced their joint curiosity in running an East Friesian and East Friesian cross stud to produce the highest quality maternal rams that will make the upmost profit for our commercial clients. Two exciting new Border Leicester sires were purchased in 2014, one from Coolawang Border Leicesters and another from Inverbrackie Border Leicesters, we are looking forward to the lambs they produce as we believe both these rams have the thickness and fertility we are striving for in our East Friesian cross Border rams.